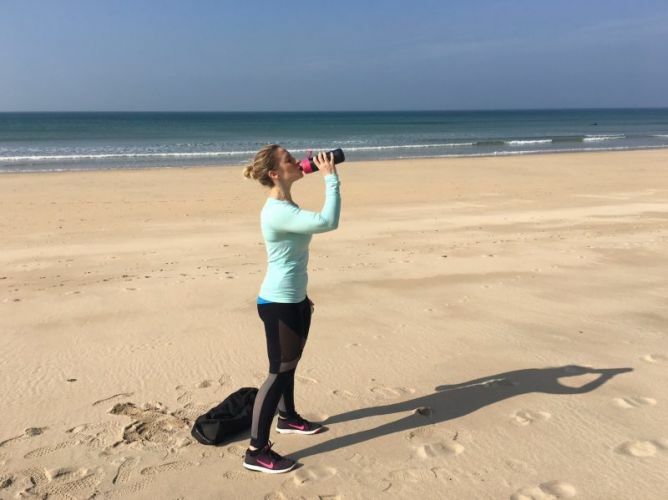 When the lovely people at Brita got in touch and asked me to take part in their latest campaign encouraging people to get active outside and ditch single use plastic water bottles for a reusable (and more environmentally friendly) one, I jumped at the chance to join in. 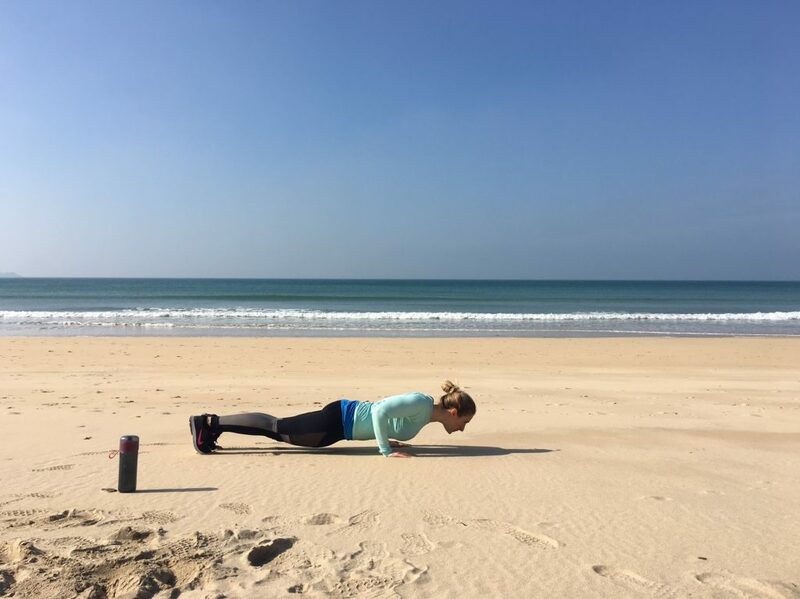 They challenged me to switch up my normal gym routine encouraging me to do something outdoors taking my new bottle with me, and as I spend a lot of my time on the beach anyway, I figured it would be perfect to switch up some of my gym workouts with a beach workout! I’ve recently found out that a shocking 8 million tonnes of plastic enters our oceans each year, killing sea life!! Living in Cornwall, I already knew that a lot of plastic washed up onto our beaches, but I had no idea just how big the issue was! 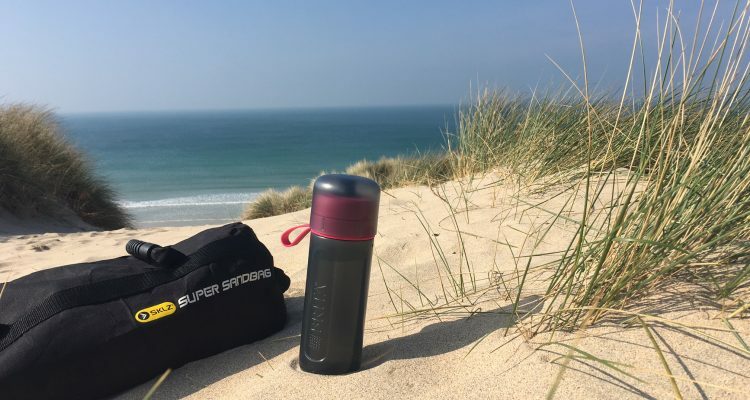 So I also thought that featuring the beach in this post would be a great way to raise awareness of it and to let you know that although changing to a reusable bottle might seem like it won’t make much of a difference in the big scheme of things, every little change like this helps towards saving the environment. Anyway, first let me be honest and admit that I have been ‘guilty’ of using single use plastic bottles a lot. Before I was sent this bottle to try I mostly switched between single use bottles and a (reusable) protein shaker – I would typically use a ‘single use’ bottle right up until it basically resembled a dog’s mangled chew toy though before recycling it, so way more than once. But since getting my Brita fill&go Active bottle I haven’t actually used a single use bottle! I’ve also switched completely to drinking just water during my workouts because it tastes so much better thanks to the filter in the bottle…and that’s pretty huge for me as I nearly always had very diluted squash before! 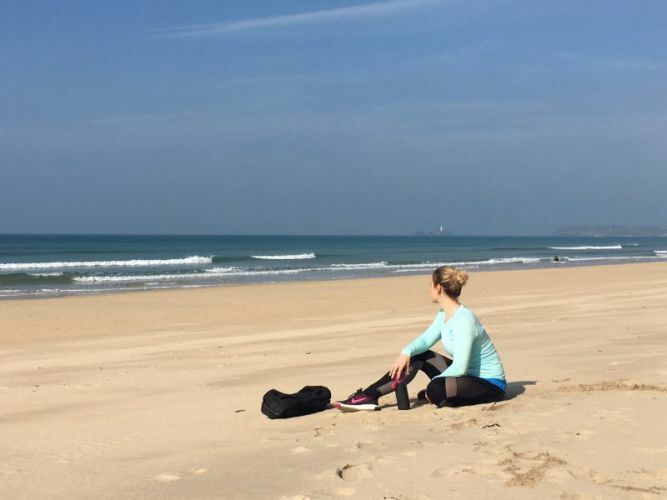 Back to my challenge… In summer, the thought of being stuck inside a gym all day every day drives me mad so I was very happy to accept the challenge to take some of my training outdoors. My usual summer training mostly involves surfing/walking/kayaking/cycling though, so (to change it up a bit) I have decided that this summer I will be dragging my kettlebells and sandbag down to the beach some mornings to get a weight training workout in before I carry on with the rest of my day. I’ve already done a couple of mini beach workouts over the past few weeks to try it out…and I love it! 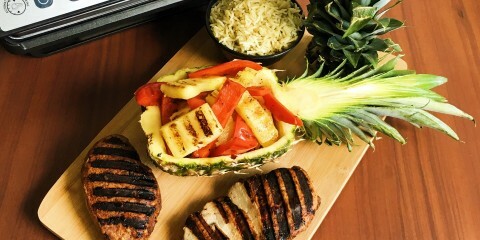 I’ve trained some of my personal training clients on the beach over the past year, so I don’t know why I didn’t think to do my own training sessions there before! Obviously during the winter this would be difficult because working out on the beach in wind and rain isn’t much fun, but as the weather is definitely clearing up it’s an absolute pleasure to take my workouts to the beach! 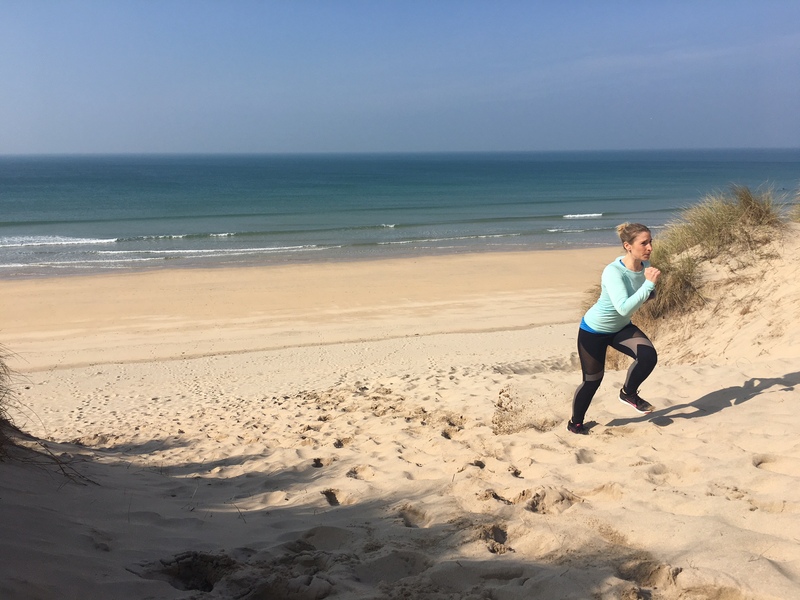 And let’s be honest – ending a beach workout with sand dune sprints is a far better ‘finisher’ than anything I could ever challenge myself to do on the treadmill! The BRITA fill&go Active bottle is the perfect way to stay hydrated throughout the day (particularly after beasting sand dune sprints) as it has a changeable filter inside that filters the water as you drink it. Each filter disc filters up to 150 litres (which can last up to 4 weeks)! The fact it helps to reduce on waste from single use plastic bottles is a winner for me. 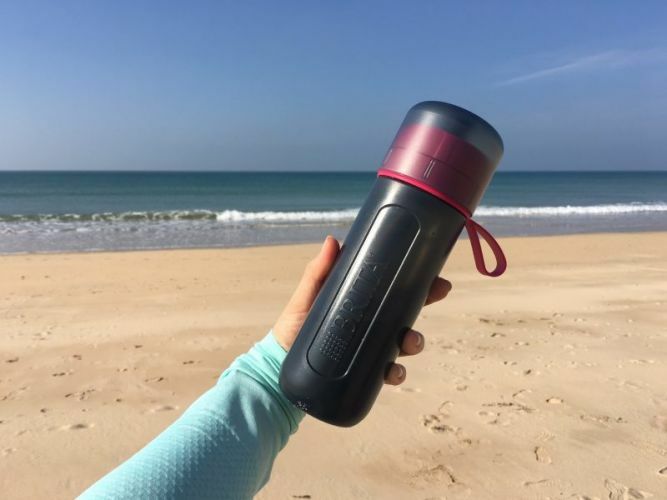 It’s also the most durable reusable bottle I’ve tried so far and has survived all sorts, including being thrown down on the sand (and in the gym) numerous times. 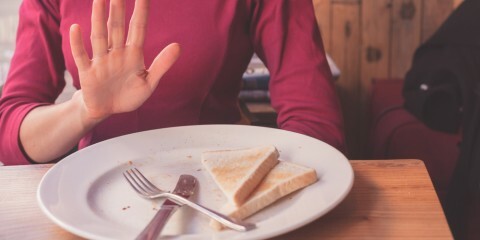 It’s also BPA-free. The bottle (thankfully) has a very affordable price too – just £12! So doing your bit to help towards saving the environment doesn’t have to cost a fortune. If your training is always indoors why not try making some small changes to get out and about more this summer? Even if you just switch up one of your indoor treadmill runs and take it outside it’s a great way to enjoy the fresh air! This is a sponsored post with Brita fill&go Active, but all views are my own.